You are currently browsing the Aviat Networks blog archives for April, 2012. 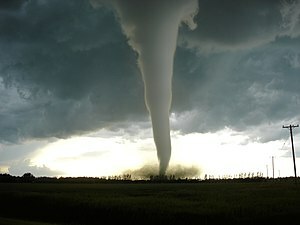 In 2011, the United States experienced its worst tornado outbreak in more than 50 years. And communication systems were not spared from the carnage. In the video below, Robert Young, senior manager for Aviat Networks’ Americas TAC/NOC explains how the company’s San Antonio network operations center (NOC) and its expertise in disaster monitoring and recovery helped microwave communication systems rebound from severe weather challenges. He details how the Aviat Networks Technical Assistance Center (TAC) and NOC team provided support for customers during the 2011 tornado outbreak.